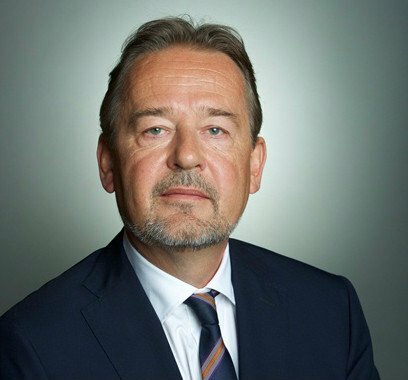 The Ambassador of the Federal Republic Of Germany, Mr. Christoph Retzlaff, has announced that more German companies are choosing Ghana as a regional hub in West Africa. He said Merck, a leading healthcare company which has been inventing medicines and vaccines for many of the world’s most challenging diseases, was also planning to enter vaccine production in Ghana, which could be the first vaccine production in sub Saharan Africa. The Ambassador affirmed that, that was in addition to the intention expressed by the Volkswagen Group, a German automotive manufacturing company, to start car assembling in Ghana. Addressing Ghanaian ministers of state, Members of parliament (MP’s), religious and traditional leaders, members of the German Community and German Business executives during a reception to mark German Unity Day in Accra, the Ambassador said, “more and more German companies were choosing Ghana as a regional hub in West Africa”. 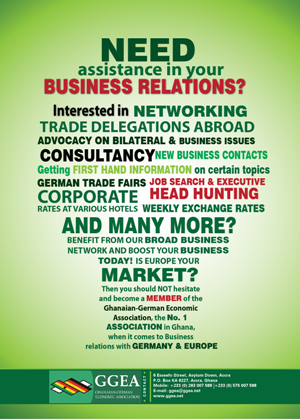 “In February 2019, we will have the German Africa Business Summit in Accra, the biggest Africa event of German business that will certainly boost the economic relations between Germany and Ghana,” he announced. “More investment in Ghana and level playing field for trade and investments are our goals. There is still untapped potential in our economic relations but we are making good progress,” he assured. Mr. Retzlaff said they were working hard to make their cooperation even better, especially for the young people in Ghana, to create opportunities for them, give them perspectives and empower them to build the successful Ghana of the future. They are the future, he added. “Our vocational training programmes will be expanded, we want to give additional 25,000 young Ghanaians vocational training in the next two years,” the Ambassador disclosed. He said they also wished to send more Ghanaians to Germany. Our cooperation in science is getting stronger and just last week, we opened a new “Institute for Advanced studies in Africa” at the University of Ghana – a cooperation with the University of Freiburg, focusing on sustainable governance. Mr. Retzlaff assured that the German Embassy was not working on all this alone, adding that there were many Germany German partner institutions in Ghana, namely the Goethe Institut, their student exchange service DAAD, the Friedrich-Ebert Foundation, the Konrad Adenaeur-Foundation, their cooperation agency GIZ, development bank KfW, the Delegation of German Industry and Trade in Ghana, German Trade and Invest, German Investment and Development Company DEG, the German-Swiss School in Accra, the Savings Bank Foundation for International Cooperation, Deutsche Welle Academy and their advisers from the German Army, the Bundeswehr. “What we are building together with Ghana is a new partnership for the future, a partnership that is also designed to be a model for other African countries, a fair partnership based on trust, democracy, respect for human rights and good governance. A partnership aiming at sustainable inclusive growth to realise the enormous potential of Ghana and its great people”. Mr. Retzlaff traced the history of the unity day and said 28 years ago the Berlin wall finally came down and Germany was united again. He said it was one of the defining moments when people peacefully changed the course of history, saying what began as a struggle for freedom and unity in East Germany led to Germany and finally Europe being united after decades of iron fences and cold war. He said they were grateful to their neighbours and partners for their trust and noted that the lesson they could take from those inspiring days in 1989 were still important today. “At a time of fragmentation, populism and polarisation around the world, we need trust and international cooperation more than ever. It’s the only way we come overcome the global challenges of the 21stcentury,” he added. He said he was happy to note that Ghana and Germany looked back at 61 years of close friendship and cooperation and said the friendship and cooperation were stronger than ever. Meanwhile, in a message on the German Unity Day, the Federal President of Germany, Frank-Walter Steinmeier, said over the past 70 years, the Federal Republic had become a stable and social democracy, adding that today, it had become a model and partner for mutual understanding, peace and freedom worldwide. Over the last 30 years, he said they had achieved a lot together that they could be proud of. “The German Unity that we celebrate today was for the East and West, a tremendous struggle and there was still much to do. New challenges have emerged, the world – with all its threats – was moving ever closer together and social cohesion was crumbling and democracy was not immutably self evident today. “And that’s why today we need brave people who are committed to our democracy, people who engage for it together,” he pointed out.